Economic stagnation, physical destruction, and mourning for a “lost generation” exemplified the disillusionment of postwar Europe. The most destructive war in history brought home the need for a lasting peace in many nations, but, unfortunately, it also brought home the need for a lasting revenge. These two opposing sentiments ran simultaneously, as novelty peace declarations blanketed escalating European tensions. Unknowingly, the leading men of Versailles began the inter-war years by paving a winding path that would come to a head with a treacherous global déjà vu twenty years later, a path portrayed in the intellectual and political movements of the years between World War I and World War II. World War I (1914-1918) devastated Europe, lasting 1,565 days, encompassing 65,000,000 soldiers and seeing the death of one-fifth of them, and financially totaling $186 billion (Walter Langsam, Otis Mitchell, The World Since 1919). The shear magnitude of the war raised the stakes of the war, stakes that would be expressed amidst intense Allied negotiation in the Treaty of Versailles, created at the Paris Peace Conference of 1919-1920. Throughout the drafting of the peace treaty, several points dominated negotiations: 1) the wording of a league of nation’s covenant; 2) the question of French security and the fate of the left bank of the Rhine; 3) the Italian and Polish claims; 4) the disposition of the former German colonies and the former possessions of the Turkish Empire; and 5) the reparation for damages that was to be demanded from Germany. The Paris Peace Conference commenced on January 18, 1919 at the Versailles Chateau to define the lines of international relations for the world war settlement. Thirty-two states were represented at Paris, including the primary belligerent states that made the major decisions, a leadership group appropriately labeled the “Big Four:” The United States, Great Britain, France, and Italy (Walter Langsam, Otis Mitchell, The World Since 1919). Fifty or sixty nationals from smaller countries with special interests attended, though no Central Power was represented, nor did Russia attend due to its civil war. Since such a large group could not do business efficiently, full sessions were rare, and to make business possible, more than fifty commissions of various sorts were established and coordination among them was effected by the Council of Ten, or the Supreme Council, comprised of two chief delegates from the United States, Great Britain, France, Italy, and Japan. Its principal members demanded and received membership on all commissions. As the Supreme Council itself became too large for efficiency, the Council of Four, consisting of the chiefs from the “Big Four,” replaced it. Woodrow Wilson represented the United States, Georges Clemenceau represented France, David Lloyd George represented Great Britain, and Vittorio Orlando represented Italy (Arno Mayer, Politics and Diplomacy of Peacemaking). The President of the United States, Woodrow Wilson, was a rational idealist, convinced of his moral and intellectual superiority. The president, a Democrat, was steadfastly determined to create a “lasting peace” at the war’s end and not merely to take punitive measures against the defeated Central Powers (Pierre Renouvin, War and Aftermath 1914-1929). At the beginning of 1918, he outlined his “Fourteen Points” to the American Congress, a list of categorical demands emphasizing self-determination of peoples, arms reduction, freedom of the seas, illegitimacy of secret treaties relating to the war, free and open trade, and formation of the League of Nations. In later public addresses, Wilson Characterized the war as a struggle against “absolutism and militarism,” claiming that these two global threats could only be eliminated through the creation of democratic governments and a “general association of nations” (Jackson Spielvogel Western Civilization). Throughout Europe, Wilson’s popularity was enormous, as he became regarded as the champion of a new world order based on democracy and international cooperation. However, within the “Big Four” circle, as well as domestically, Wilson failed to gain popular support. The American Congress, recently having housed a Republican majority, never ratified the Treaty of Versailles nor joined the League of Nations, due in part to a lack of American willingness to commit itself to European affairs and in part to partisan politics (Walter Langsam, Otis Mitchell, The World Since 1919). 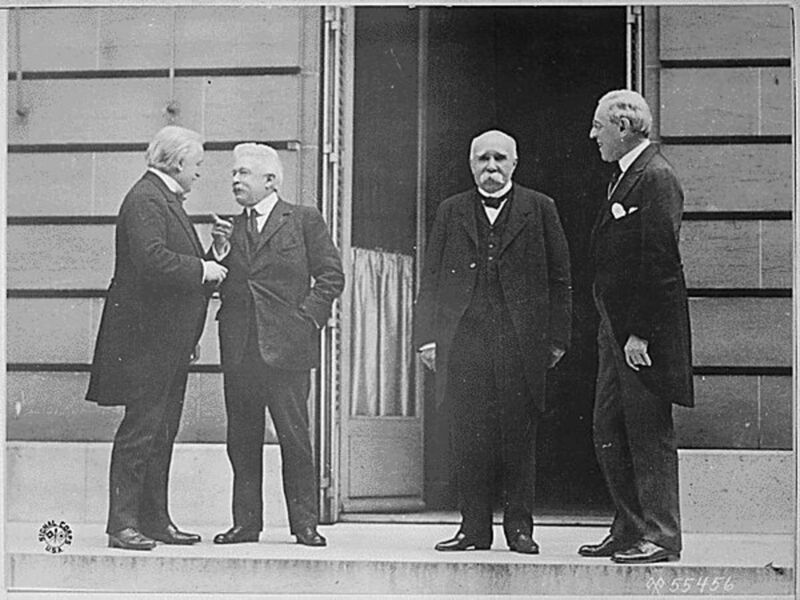 Contrasting Wilsonian idealism at the Paris Peace Conference was the realism of French Premier and Minister of War, Georges Clemenceau, the leading French representative. Nicknamed “Tiger,” Clemenceau is commonly considered to have been the most artful diplomat at the conference, who utilized his realism to manipulate negotiations (Walter Langsam, Otis Mitchell, The World Since 1919). While pursuing the goals of exalting and securing France as he weakened Germany, Clemenceau initially gave Wilson the impression that he agreed with his “Fourteen Points;” however, France’s motives soon surfaced, pitting Wilson and Clemenceau in conflict with one another. Clemenceau’s neglect of Wilson’s “Fourteen Points” can be attributed to the fact that France had suffered the greatest percentage of casualties out of any Allied belligerent, as well as the greatest physical destruction; thus, its citizenry demanded harsh punishment to be dealt to the Central Powers, especially to Germany (Jackson Spielvogel, Western Civilization). Clemenceau, with the anger and fear of the French people driving his quest for revenge and security, sought a demilitarized Germany, vast German reparations, and a separate Rhineland as a buffer state between France and Germany. Prime Minister of Great Britain and head of the Liberal Party, David Lloyd George, led the British representation at Versailles. Like France, Great Britain suffered great economic and human loss from the war, and British public opinion was in favor of stern German punishment and British gain (Walter Langsam, Otis Mitchell, The World Since 1919). In the 1918 elections, Lloyd George, a clever politician, capitalized on this sentiment by coining such slogans as “Make Germany Pay” and “Hang the Kaiser." While Lloyd George understood the French mindset and that of his own populous, in truth, he opposed Clemenceau’s proposals for harsh German punishment, fearing severe German treatment would prompt Germany to seek revenge (Martin Gilbert, The European Powers). Although more pragmatic than Wilson, Lloyd George shared this view with the American president, and, in doing so, thwarted Clemenceau’s goal of categorically repressing Germany. Lloyd George represented the middle ground in the peace discussions, realizing the need to suppress future German aggression while stopping short of provoking it. Premier Vittorio Orlando, an eloquent diplomat who had no command of the English language, represented Italy. Because he could not communicate with the three other members of the “Big Four,” Orlando’s influence in the general proceedings was diminished (Walter Langsam, Otis Mitchell, The World Since 1919). Nonetheless, Italians believed their country had large stakes in the peace treaty, and Orlando was intent on extending its territory to encompass the Brenner Pass in the Tirol, the port of Valona in Albania, the Dodecanese Islands, land in Asia and Africa, an extra part of the Dalmation coast, and most significantly, the port of Fiume. Fiume was a region Italy seized November 1918 following the collapse of the Hapsburg Empire, only to have it taken under Inter-Allied control that same month. The Italian delegation justified its claim to Fiume by demonstrating that it was directly connected to Italy by the sea, but the Yugoslavian delegation argued that it contained an Italian minority and, in keeping with Wilson’s ideal of national self-determination, could not be controlled by a government representing only a minority sect but should be governed by the Yugoslavian kingdom. Wilson, who had developed a strong support for the new Yugoslavian kingdom of the Serbs, Croats, and Yugoslavs, believed Fiume to be essential for Yugoslavia as the only access point to the sea. As a result, Wilson refused to allow Italy to take Fiume, even amidst threats of Italian withdrawal from the Conference. Out of frustration for receiving less territory than desired, Italy withdrew from the Paris Peace Conference, Orlando went home, and Italians were outraged by what they saw as a “mutilated peace” (Walter Langsam, Otis Mitchell, The World Since 1919). 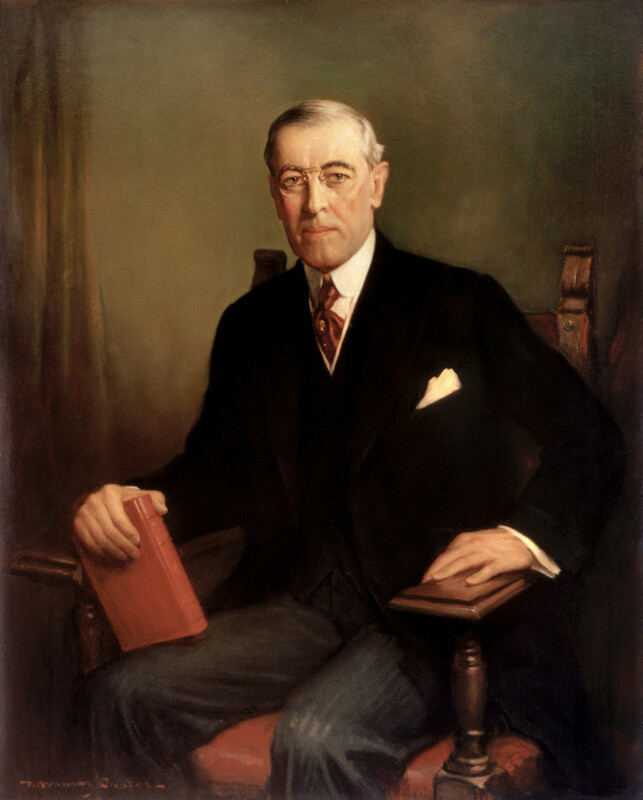 The creation of Wilson’s envisioned League of Nations was a point of contingency within the “Big Four.” Neglecting heated opposition, Wilson insisted on incorporating its projected covenant in the general peace agreement so as to legitimatize the organization internationally, and he was successful in his insistence. In January 1919, Wilson was appointed chairman of a committee to draft the League of Nations covenant, and he presented a completed report that February (Walter Langsam, Otis Mitchell, The World Since 1919). Meeting extreme criticism, Wilson’s covenant was altered considerably before it was adopted on April 28. After a century of conflict over the Rhine frontier, and due to an acute fear of possible German revenge, the panicked French sought security against future invasion. In the view of France, adequate security could only be achieved by crippling Germany politically, economically, militarily, and commercially. Marshal Ferdinand Foch, former Commander in Chief of the Allied Armies in France, and his followers demanded that Germany’s western frontier be fixed at the Rhine and that the 10,000 square miles of territory between the Rhine and the Netherlands, Belgium, and France to the west be transformed into a buffer state under French protection (Walter Langsam, Otis Mitchell, The World Since 1919). The British and the United States opposed this proposal, fearing a prolonged future conflict over the region as witnessed in years past with Alsace-Lorraine. Compromise was eventually reached, however, as Clemenceau agreed to divided the area in question into three sections, to be occupied by Allied troops for respective periods of five, ten, and fifteen years. Future time frames would be based upon Germany’s fulfillment of the other parts of the treaty. Additionally, Germany was not to build fortifications or assemble armed forces in a demilitarized zone, extending thirty-one miles east of the Rhine. For still further French security, Wilson and Lloyd George agreed to sign special treaties that would guarantee that the United States and Great Britain would come to the aid of France in the case of German “aggression." Consequently, two supplemental treaties were present at the signing of Versailles Treaty, one Franco-British and another Franco-United States. As another means to prevent a future German threat, the Allies limited Germany’s military potential. The German General Staff was abolished, conscription was abolished, and the army was limited to 100,000 men, including a maximum of 4000 officers (Walter Langsam, Otis Mitchell, The World Since 1919). The manufacture, import, and export of armaments were limited and these materials could be stored only when allowed by the Allied governments. The naval provisions permitted Germany to retain only six battleships, six light cruisers, twelve destroyers, and twelve torpedo boats. Submarines were not allowed, and no new warships could be built except to replace those worn out. Naval personnel were limited to 15,000 men, and no one in the merchant marine could receive naval training. Germany was forbidden from having any naval or military air force and all aeronautical war material had to be surrendered. The Allies created commissions to supervise the execution of the disarmament clauses, and the disarmament of Germany was hailed as a first step in the global disarmament movement. The question of the Saar Basin, one of the world’s greatest coal-producing regions, consumed the deliberations of Wilson, Lloyd George, and Clemenceau. The Germans had destroyed many coalmines in France, so Clemenceau, with Allied support, demanded the Saar Basin, a region that held more coal than all of France but that had no historical or ethnic ties with France. In the end, the Saar Basin coalmines were transferred to France for a period of fifteen years, during which time the region was to be administered by the League of Nations (Martin Gilbert, The European Powers 1900-1945). At the end of fifteen years, a plebiscite, or an election, of the inhabitants would decide the future status of the territory. If the plebiscite brought the Saar back to Germany, the Germans were to repurchase control of the mines from the French at a price determined by a board of experts appointed by the League. Temporary resolution of the Polish Question was another accomplishment of the Treaty of Versailles. A corridor, encompassing the city of Danzig with a German population of 300,000, was carved out of Posen and West Prussia (Walter Langsam, Otis Mitchell, The World Since 1919). This “Polish Corridor” went along with the French scheme to weaken Germany, creating a powerful Poland to the east of Germany that would fill in the void that Russia had occupied before World War I. To deal with the occupied overseas territories, the Allies developed the “mandate system” (Martin Gilbert, The European Powers 1900-1945). To the delight of Wilson, the territories taken from Russia, Austria-Hungary, and Turkey were assigned to the League of Nations to “delegate its authority” to another state, which would, in turn, serve as a mandatory power (Walter Langsam, Otis Mitchell, The World Since 1919). The mandatory power was to act as a steward for the League in the protection of people who were unready to stand alone in the modern world. Approximately 1,250,000 square miles of land formerly held as German colonies and as non-Turkish parts of the Ottoman Empire were mandated, usually along the terms of secret agreements made during the war. All League members were promised equal commercial and trading opportunities in the mandates (Martin Gilbert, The European Powers 1900-1945). Also, Germany had to renounce all rights and titles to oversea possessions, recognized the separation of Luxembourg from the German customs union, returned Alsace and Lorraine to France, and saw the enlargement of Belgium, Denmark, and the new Czechoslovakia at the expense of German territory (Walter Langsam, Otis Mitchell, The World Since 1919). It was decided that the defeated nations should pay a debt to the victors over a thirty-year period and that a Reparation Commission would be appointed to determine the annual amounts and method of their transfer (Walter Langsam, Otis Mitchell, The World Since 1919). Germany, however, would pay the equivalent of 20,000,000,000 marks in gold by May 21, 1921 and was required to deliver timber to France and ships to Britain to compensate those states for corresponding losses. In addition, Germany had to make large annual coal deliveries for ten years to France, Italy, and Luxembourg. Once the Paris Peace Conference saw the completion of the Treaty of Versailles, the Germans were summoned, and Clemenceau formally presented the terms to the Germans on May 7, 1919 (Walter Langsam, Otis Mitchell, The World Since 1919). Headed by Ulrich von Brockdorff-Rantzau, former envoy to Denmark and Foreign Minister of the new German Republic, the German delegation gathered in the small Trianon Palace near Versailles on the fourth anniversary of the sinking of the liner Lusitania to receive their treacherous fate. Brockdorff-Rantzau, backed by the distraught German people, denied that Germany was solely responsible for the war and emphasized the impossibility of fulfilling all terms set down by the Allies. In the end, however, only few modifications were made to the treaty, and the Germans were given five days at first, then two more, in which to accept the revised treaty or face invasion. Although many Germans favored renewing the war, Field Marshal Paul von Hindenburg announced that resistance would be futile, and the Social Democratic Scheidenmann Government, including Foreign Minister Brockdorff-Rantzau, resigned and Gustav Bauer, another Social Democrat, became chancellor. The German assembly at Weimar voted an acceptance of the peace treaty laid out by the Allies, objecting to the “war guilt” clause and to the surrendering of German “war criminals,” who were accused of violating the code of war. Acceptance of the treaty in full, however, was inevitable, and at three o’clock in the afternoon of June 28, 1919, the fifth anniversary of the assassination of Austrian Archduke Francis Ferdinand, the Germans were admitted to the Hall of Mirrors at Versailles, where the new German Foreign Minister, Hermann Muller, signed the Treaty of Versailles. The Allied delegates followed in alphabetical order. The remaining Central Powers received similar peace treaties to that of Versailles. Austria signed the Treaty of St. Germain in May 1919. In accordance with its terms, Austria ceded to Italy the South Tirol up to the Brenner Pass, Trieste, Istria, the Trentino, and some islands off Dalmatia. Czechoslovakia received Bohemia, Moravia, part of lower Austria, and nearly all of Austrian Silesia. Poland received Austrian Galicia, Romania was awarded Bukovina, and Yugoslavia received Bosnia, Herzegovina, and the Dalmation coast and islands. Austria’s army was limited to 300,000 volunteers, and reparations modeled after those of the Treaty of Versailles were dealt. Bulgaria signed the Treaty of Neuilly in July 1919. Four small regions in western Bulgaria were given to Yugoslavia for strategic purposes, though Bulgaria retained much of the same territory it possessed in 1914, except for the loss of western Thrace to Greece. Bulgaria’s army was reduced to 20,000, making it one of the weakest post-war Balkan states. Hungary signed its peace treaty in June 1920 in the Trianon Palace at Versailles. The harshest of the post-war peace settlements territorially, Hungary’s peace treaty enlarged Romania by the cession of an area severed from Hungary, an area larger than the total state remaining. Three million Magyars came under foreign rule, the army was cut to 35,000 men, and the navy was reduced to a few patrol boats. Additionally, Hungary was forced to pay reparations through a guilt cause. Turkey signed the Treaty of Sevres in 1920. Although it freed the Arab states from Turkish control, League-sanctioned mandates simply shifted the important Arab states from one foreign ruler to another. Influence was usually determined by the Allied secret agreements reached during the war. Turkish national sentiment rebelled against the ratification of the Treaty of Sevres, and a group of nationalists under Mustapha Kemal quickly rose in arms against it. As a result of Woodrow Wilson’s advocacy at the Paris Peace Conference, the League of Nations covenant was included in the Treaty of Versailles, and the League began meeting on November 15, 1920. It functioned through an Assembly, a Council, and a Secretariat (Walter Langsam, Otis Mitchell, The World Since 1919). The League consisted of representatives of all members, with each state having one vote, and it involved itself with “any matter affecting the peace of the world." Additionally, it had specific duties, such as the admission of new members, and, with the Council, the election of the judges of the World Court. Any member nation could withdraw from the League after two years’ notice. The Council corresponded to the executive branch in a national government. The Covenant originally provided for five permanent (United States, France, Great Britain, Italy, and Japan) and four nonpermanent Council seats, but the United States’ refusal to join the League of Nations resulted in only eight members of the Council until 1922 (Walter Langsam, Otis Mitchell, The World Since 1919). In 1922, the number of nonpermanent seats was increased, giving the smaller states a majority. Germany and the Soviet Union were later given permanent seats after joining the League. After 1929, the Council usually held three meetings a year, with frequent special meetings. Decisions of the Council had to be unanimous, excluding matters of procedure, and the Council considered any question affecting world peace or threatening the harmony of international relations. 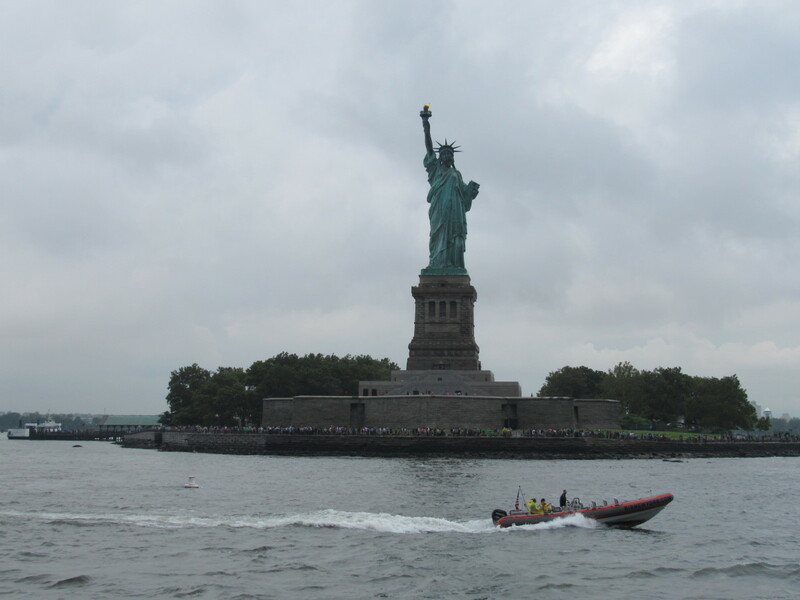 Due to its efficiency, the Council handled most emergency situations. The various duties assigned to the Council included working for the reduction of armaments, evaluating the mandate system, preventing international aggression, inquiring into disputes which might be submitted to it, and summoning the member states to the defense of the League and peaceful world order. The Secretariat, also called the “civil service,” was the third agency of the League. Established at Geneva, it consisted of a secretary-general and a staff selected by him with the approval of the Council (Walter Langsam, Otis Mitchell, The World Since 1919). Sir James Eric Drummond was the first secretary-general, and further secretaries-general were to be appointed by the Council with approval of the Assembly. The Secretariat was divided into eleven sections, each concerned with the League’s business and the publications of all League-produced documents in their original language, as well as in French and in English. Most of the League’s business dealt with administering territory and dealing with the “disposal and distribution of the foreign and overseas territories of Germany and the Ottoman Empire…” (Walter Langsam, Otis Mitchell, The World Since 1919). These territories were given to more modern nations to guide, and the Mandate System was developed. A commission was devised to sit at Geneva and receive reports of nations to whom backward peoples were granted in trust. Three classes of mandates were formed, graded A, B, and C, in accordance with the political development of the societies. Class A mandates, the most developed, were primarily communities that were once attached to the Turkish Empire and were expected to become independent soon. Class B mandates included the former German possessions in Central Africa, and independence for these inhabitants was remote. Class C mandates included German South West Africa and the Pacific islands that once belonged to Germany. These territories passed wholly “under the laws of the Mandatory as integral portions of its territory" (Mitchell). Basically, Class C mandates were legally under the control of their respective occupiers. Along with the Mandate System, the League had to deal with alien minorities, upholding the Wilsonian ideal of self-determination. Treaties protecting the rights of the minorities were signed, and a Minority Committee was established to resolve numerous outstanding ethnic disputes throughout the world. In order to hedge the “scourge of war,” the League of Nations adopted a series of penalties for nations that broke international law. Whenever a nation resorted to armed hostilities in violation of its agreements, it was automatically “deemed to have committed an act of war against” the entire League (E.H. Carr, The Twenty Years’ Crisis 1919-1939). The culprit was to be subjected to immediate economic sanctions, and if economic measures proved ineffective, the Council might recommend, but could not order, the contribution of armed forces from League members “to protect the covenants of the League” (Carr). While the League proved effective in dealing with the affairs of smaller nations, larger nations saw interference as a direct attack on their sovereignty. From 1931, the great powers repeatedly failed to uphold the ideal of collective resistance, as states continually violated the League Covenant without any repercussions. To attend to the special interests of the world more thoroughly, the League created several additional organs outside the three main bodies, called “technical organizations” and “advisory committees” (E.H. Carr, The Twenty Years’ Crisis 1919-1939). Their work dealt with specific problems in the world that the main bodies could not adequately address. The League of Nations created the International Labor Organization and the Permanent Court of International Justice. By September 1921, ratification of the World Court was secured, the first group of judges was elected, and the Hague became the seat of the court (Walter Langsam, Otis Mitchell, The World Since 1919). Eventually composed of fifteen judges who met throughout the year, the World Court had voluntary and compulsory jurisdiction. When two or more states were in dispute and referred to the World Court for settlement, the tribunal’s voluntary jurisdiction was invoked; while some states signed an Optional Clause, which bound them to accept the compulsory arbitration of the tribunal when they allegedly breached international law or obligation. Rather than arbitrating quarrels, as the old Hague Tribunal of 1899 once did, the World Court interpreted international law and decided on treaty violations. Thirty-one decisions and twenty-seven advisory opinions were handed down before the Nazi invasion of the Netherlands dispersed its membership. The International Labor Organization (ILO) was created by the Treaty of Versailles under the guise of the League of Nations Covenant to serve the interests of labor. The League of Nations pledged to better labor conditions internationally, and ILO membership was made automatic with League membership, though certain states (U.S., Brazil, Germany) were ILO members without League membership (Walter Langsam, Otis Mitchell,The World Since 1919). Similar in structure to the League of Nations, the ILO housed a General Conference that would focus world attention on inadequate labor conditions and point the way to improve them. Included in the ILO was a Governing Body that was located in Geneva and had the main function of electing and controlling the director of the International Labor Office. In Geneva, it collected information on all phases of industrial life and labor, prepared the annual General Conference meeting’s agenda, and maintained contact with volunteer labor societies throughout the world. Increasingly, the ILO became identified with progression toward a “uniform movement for social reform throughout the world” (Mitchell). The years between World War I and World War II were marked by scientific advancement in the area of physics, astronomy, biology, chemistry, and mathematics. Physics, “the study of matter and energy and the relation between the two,” and chemistry, “the science of the composition, structure, properties, and reactions of matter,” were especially aided by the genius of Ernest Rutherford (Dictionary.com). In 1919, Rutherford showed that the atom could be split. By initiating a collision of alpha particles with nitrogen atoms, Rutherford caused the disintegration of the nitrogen, the production of hydrogen nuclei (protons), and an isotope of oxygen. As a result, he became the first person to achieve artificial transmutation of an element. Other than Rutherford, there were many men who advanced the study of physics and astronomy during the inter-war years. Arthur S. Eddington and others studied data obtained during a total solar eclipse and verified Albert Einstein’s prediction of the bending of light rays by the gravitational field of large masses. That same year, Edwin P. Hubble detected Cepheid variable stars in the Andromeda Nebula, which allowed him to determine the distance between galaxies. Louis-Victor de Broglie determined, in 1924, that the electron, which had been considered a particle, should behave as a wave under certain circumstances. This was a theoretical assessment, and Clinton Davisson and Lester H. Germer confirmed it experimentally in 1927. In 1925, Wolfgang Pauli announced his Pauli exclusion principle, maintaining that in any atom no two electrons have identical sets of quantum numbers. It can be used to find the electron configuration of heavier elements. From 1925 to 1926, Werner Karl Heisenberg and Erwin Schrodinger laid the theoretical foundations of the new quantum mechanics, which successfully predicts the behavior of atomic particles. In 1927, George Lemaitre introduced the concept of the expanding universe and continued research on the topic until 1930 in order to explain the red shift in the spectra from different galaxies. Paul A. Dirac, by combining quantum mechanics and relativity theory in 1928, devised a relativistic theory of the electron. By 1944, seven subatomic particles had been identified, and great advancements had been achieved in science. Chemistry, biology, and geology were essential for the broad understanding of the ever-changing inter-war world. Published in 1915, Alfred Wegener’s Die Enststenhung der Kontinente und Ozeane continued to influence society long after World War I by giving the classic expression of the controversial theory of continental drift. In 1921, Hans Spemann postulated an organizer principle that was responsible for the “formative interaction” between neighboring embryonic regions, stimulating embryologists of his time to search for the inductive chemical molecule. Hermann J. Muller, in 1927, announced that he had successfully induced mutations in fruit flies with x-rays, providing a useful experimental tool, as well as a warning to the later generations of the dangers in releasing atomic energy. Alexander Fleming announced in 1929 that the common mold Penicillin had an inhibitory effect on certain pathogenic bacteria, revolutionizing medicine for years to come. Then, in 1930, Ronald A. Fisher established in The Genetical Theory of Natural Selection that superior genes have a significant selective advantage, supporting the view that Darwinian evolution was compatible with genetics. Knowledge gained by scientific and mathematical discoveries during 1920’s and 1930’s not only gave people a better understanding of the physical world they lived; it provided the tools needed to develop advanced technology in years to come, aiding in the devastation of what was to be World War II. In postwar Europe, the most significant development in though was the rejection of the rational. Many felt that the barbarism of the Great War meant that the previous century was misplaced in its faith in reason and progress; thus, it rebelled against the status quo. On the Continent, existentialism became prominent. As witnessed in the works of Martin Heidegger, Karl Jaspers, and the early works of Jean-Paul Sartre, existentialists held that human beigns simply existed in an absurd world without a supreme being, left to define themselves only through their actions. Hope could come only by “engaging” in life and finding meaning in it. Logical empiricism, also stemming from the rejection of the rational, was predominantly in England. Ludwig Wittgenstein, an Austrian philosopher, argued in 1922 that philosophy is the logical clarification of thoughts; thus, its study is the study of language, which expresses thoughts. “God, freedom, and morality” were abolished from philosophical thought, and the new scope of philosophy was greatly reduced to only those things that could be proven. Those that turned to religion stressed the frailty of humankind and the “supernatural” aspects of God, abandoning 19th-century philosophy of an emergence of religion with science by portraying Christ as the great moral teacher. This 20th century Christianity was expressed in the writings of Søren Kierkegaard, Kalr Barth, Gabriel Marcel, Jacques Maritain, C.S. Lewis, and W.H. Auden. God’s grace was the answer to the world’s terror. Initially strict in ensuring that Germany fill her post-war obligations, Allied states took punitive measures against Germany when breaches to the Treaty of Versailles were committed. Early in 1921, Germany announced the completion of payments in advance through coal and other items; however, the Reparation Commission found Germany 60 percent short. Germany was declared in default, and the Allied zone of occupation was extended across the east bank of the Rhine to include several large industrial centers (Walter Langsam, Otis Mitchell, The World Since 1919). Seven weeks later, the Reparations Commission announced that Germany must pay about $32,000,000,000, and Germany was forced to accept out of fear of Allied invasion. Coupled with an unfavorable trade balance, reparation payment, which caused the German government to print more and more paper money, caused German inflation to rise to unbelievable levels and resulted in an economic disaster. 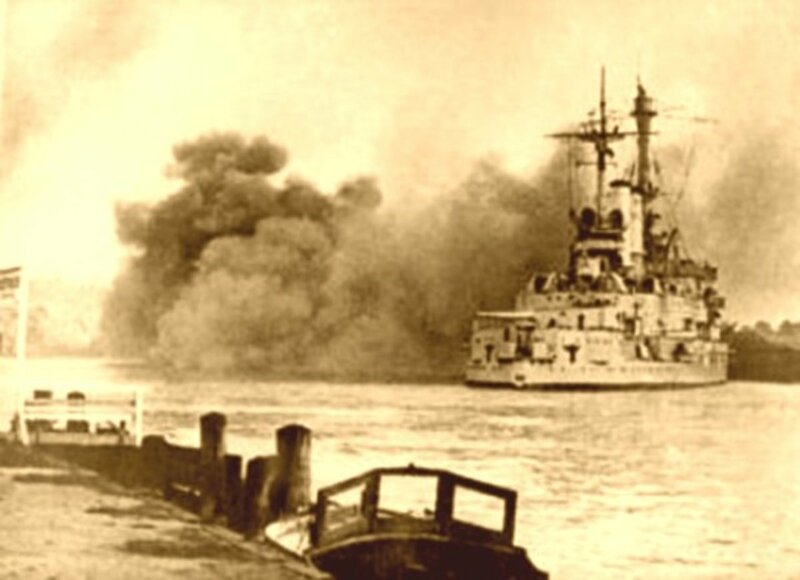 In January 1923, French, Belgian, and Italian troops occupied the Ruhr district as far east as Dortmund after Germany insisted it could not possibly pay any more reparations. The British called the occupation illegal. Although the French and fellow occupiers successfully damaged the German economy, Germany no longer paid reparations; thus, damaging the Allied economies. In order to resolve the European economic conflict, a body of experts under the chairmanship of United States financier Charles G. Dawes submitted a comprehensive economic plan to the Reparation Commission in April, known as the Dawes Plan (Walter Langsam, Otis Mitchell, The World Since 1919). On September 1, 1924, the Dawes Plan, with the support of Allied nations, went into effect, and it stipulated the following: “1) the Ruhr would be evacuated; 2) there should be established a central bank to act as a depository for reparation payments and empowered to issue a new monetary unit, the Reichsmark, bearing a stable relation to gold; and 3) the Germans should pay reparation at an eventual fixed rate, which might, however, be raised or lowered in relation to the degree of prosperity in Germany” (Mitchell). Had the Dawes Plan been upheld, Germany would have paid war reparations until 1988. The Great Depression two years after the Dawes Plan’s enactment put German war reparations out of the national interest. At Lausanne in June 1932, a conference was held, and in July, a convention was signed that effectively abolished reparations. Without constant funding from German reparation, the Allies could no longer fulfill their financial obligations to the United States and Great Britain. Many nations had outstanding debt that had accumulated during the war, and while Great Britain announced its willingness to cancel the war debts if the United States adopted a similar policy, the United States Congress chose to collect the debts (Walter Langsam, Otis Mitchell, The World Since 1919). 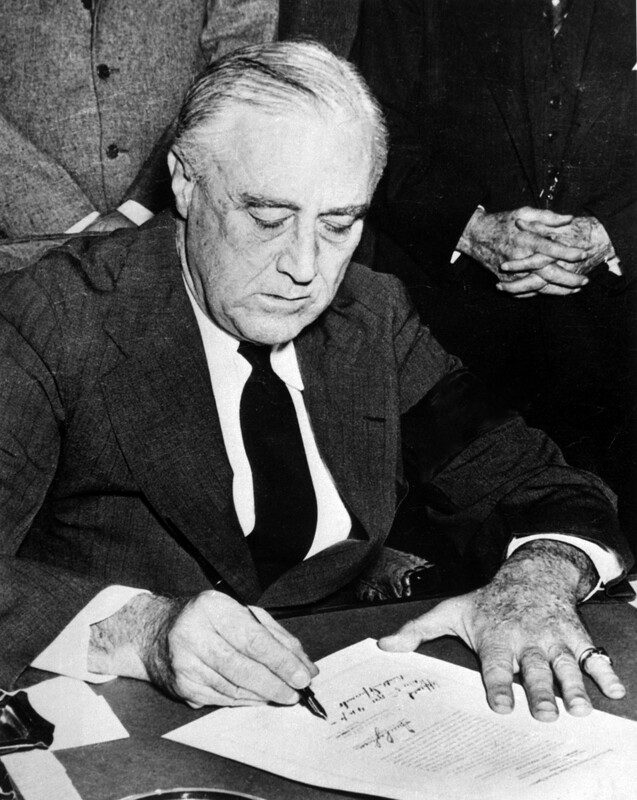 When European nations failed to pay, the United States Congress passed the Johnson Act in April 1934, closing American security markets to any foreign government that had defaulted on its debts. By June 1934, almost all had defaulted, and from then up until World War II, nationalist economic policies put barriers in the path of international trade. Such policies during the 1930’s, aggravated by Nazi Germany’s efforts to disrupt any trace of a global economy, caused many came to believe that the use of force was the only way to reinstitute a normal state of world financial and economic relations. In the wake of a war, every nation in the world wished to attain a sufficient level of security against future aggression. France, feeling betrayed by the United States’ refusal to ratify the 1919 defensive treaty with France, looked to alliances in the smaller European states. 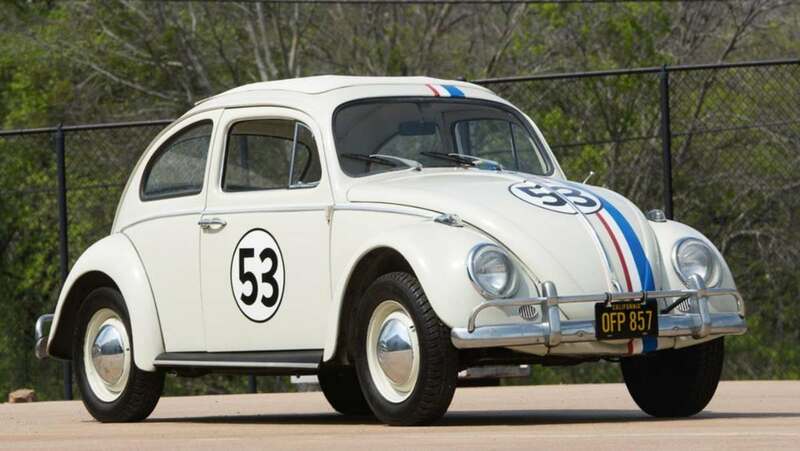 As long as Germany remained economically and militarily strong and as long as her population increased at a faster rate than that of France, France perceived Germany as a threat. In 1920, France made a military alliance with Belgium, secretly providing that each signatory should come to the support of the other in case of a German attack (Walter Langsam, Otis Mitchell, The World Since 1919). Next, France allied itself with Poland in a 1921 treaty, followed by a Franco-Czechoslovak pact in 1924. Romania came into French alliance in 1926, as did Yugoslavia the following year. Moreover, the eastern allies of France formed a partnership among themselves in 1920 and 1921, called the Little Entente and organized by Czechoslovakia, Yugoslavia, and Romania to keep the Treaty of Trianon intact and prevent a restoration of the Habsburgs. Then, in 1921, Romania signed a treaty with Poland, and Poland developed cordial relations with the Little Entente members in 1922. An armed region of French hegemony had been formed. The Soviet Union, like France, sought security following the war. It allied with Fascist Italy allied in April 1922. Neither nation had had been restored to good standing relations with the rest of Europe, both were fearful of unfriendly Allied or French-controlled coalitions, and each wished to develop new trade contacts (Walter Langsam, Otis Mitchell, The World Since 1919). The Bolsheviks of Russia, fearing a European bloc against it, also decided to negotiate nonaggression pacts with neighboring countries, starting with a friendship and neutrality treaty with Turkey in 1925). Four months later, a similar covenant was signed in Berlin with Germany. By the end of 1926, Russia had concluded such agreements with Afghanistan and Lithuania and a nonaggression treaty with Iran. The Soviet Union, under Lenin, also pursued economic security through the New Economic Policy, or NEP (Piers Brendon, The Dark Valley: A Panorama of the 1930’s). Then, from 1928 to 1937, totalitarian ruler Joseph Stalin enacted two Five Year Plans to increase the Soviet Union’s economic capacity. The first Five Year Plan lagged in many areas, and although the second did not fulfill its full projections, the two plans combined achieved much economic progress fro the Soviet Union and prepared it for the coming war. During the postwar period, Italy joined Europe in actively pursuing allies and security. It struggled with France over the control of the western Mediterranean, resulting in an armament race and the occurrence of military preparations on both sides of the Franco-Italian border (Walter Langsam, Otis Mitchell, The World Since 1919). Intensifying the hostilities was the fact that France had land in Europe and North Africa, which, according to some Italians, should have been theirs. When Benito Mussolini, the staunch fascist dictator, came into power, further steps were taken to protect Italy against France. In 1924, Italy signed treaties of friendship and neutrality with Czechoslovakia and Yugoslavia, in 1926, with Romania and Spain, and between 1928 and 1930, with Turkey, Greece, and Austria. A political treaty of 1926 with Albania was strengthened the following year by a defensive alliance, and an Italio-Hungarian treaty was negotiated in 1927. After pursuing security, the key European players had achieved a climate ripe for war. With three armed camps, respectively headed by France, the Soviet Union, and Italy, each bound by treaties to militarily defend allies, 1930 Europe began to look like that of prewar 1914. The European nations, recognizing the mounting threat of another world war, made frequent peace pacts and compromises from 1922 to 1933. In hindsight, these pacts lacked foundation, legitimacy, and wisdom, merely creating a facade of peace to disguise the rapidly moving war machine that was Europe. Disarming the world was a priority for those who wished to prevent aggression. Early in 1921, the League’s Council appointed a commission to draw up proposals for reduction of armaments, though no effective agreements were reached. Then, in October 1925, delegates from France, Great Britain, Germany, Belgium, Czechoslovakia, Italy, and Poland met at Locarno in Switzerland to discuss working toward a more peaceful world. Called the “spirit of Locarno,” the conference created several pacts, the major one stating that the major powers “collectively and severally” guarantee “the maintenance of the territorial status quo resulting from the frontiers between Germany and Belgium and Germany and France,” as well as the demilitarization of the Rhineland (Walter Langsam, Otis Mitchell, The World Since 1919). Germany, France, and Belgium guaranteed not to attack each other unprovoked and to not resort to military action in the event of conflict. Another peace pact when United States Secretary of State Frank B. Kellogg proposed that France and the United States join in an effort to induce a number of powers to sign a general antiwar pact Walter Langsam, Otis Mitchell, The World Since 1919). In August 1928, delegates from fifteen nations subscribed to an antiwar agreement in Paris, a document known as the Kellogg-Briand Pact or Pact of Paris. It “renounced war as an instrument of national policy,” and vowed to take “pacific” measures to solve all conflicts of any nature. Sixty-two nations signed the pact. The London Naval Conference, from January 21 to April 22 of 1930, dealt with submarine warfare and other naval armament agreements. The resolution was signed by Great Britain, the U.S., Japan, France, and Italy and was followed by the Disarmament Conference in Geneva in 1932. Sixty states attended but produced no effective armament agreements. As a consequence, by the mid-1930’s, international cooperation gave way to negotiations between great powers as part of the buildup to World War II. Feeding off Italian disgruntlement for being short-changed at the Paris Peace Conference and capitalizing on a faltering economy, former socialist newspaper editor Benito Mussolini and his “black shirts” threatened to march to Rome in the summer of 1922 under the political branding of Fascio di Combattimento, or Fascism (Jackson Spielvogel, Western Civilization). King Victor Emmanuel III, fearing civil war, appointed Mussolini premiere on October 29, 1922, and Mussolini quickly consolidated his power. Through the use of terror tactics, Mussolini and his “black shirts” disbanded all anti-Fascist parties by 1926, and Mussolini became Il Duce, the leader. As defined by the great Jackson J. Spielvogel in his tantalizing Western Civilization, Fascism is “an ideology or movement that exalts the nation above the individual and calls for a centralized government with a dictatorial leader, economic and social regimentation, and forcible suppression of opposition.” This was the ideology of Italy’s Mussolini and Nazi Germany’s Hitler, and, while no two examples of Fascism are alike in every way, it is an underpinning foundation of autocratic totalitarianism, terror, militarism, and nationalism that forms the common bond. As expressed by its founder, Benito Mussolini, Fascism is “all in the state, nothing outside the state, nothing against the state." In 1933, Nazi party candidate Adolf Hitler, who patterned some of his policies after those of Italian fascist dictator Mussolini, came to power in Germany. In his infamous autobiographical account, Mein Kampf (My Struggle), Hitler expressed extreme German nationalism, anti-Semitism (among other expressions, including blaming the Jews for Germany’s defeat in World War I), anticommunism, and the need for Lebensraum (living space). His intolerant and expansionist ideology was fueled by a strong belief in Social Darwinism, or “the application of Darwin’s principle of organic evolution to the social order,” an ideology that leads “to the belief that progress comes from the struggle for survival as the fittest advance and the weak decline” (Jackson Spielvogel, Western Civilization). Like Mussolini, Hitler utilized terror tactics through his Gestapo, or secret police, to maintain total rule, and like Mussolini, Hitler made up a name for himself, the Fuhrer. Hitler disbanded the Weimar Republic and created the Third Reich. In line with his anti-Semitic beliefs, Hitler enacted the Nuremberg Laws in 1935, which were racial laws that excluded German Jews from German citizenship and forbade marriages and extramarital relations between Jews and German citizens. The Nuremberg Laws furthered Hitler’s ambitions of creating a “pure” Aryan race. More Nazi anti-Semitic activity took place on November 9-10, 1938, known as the Kristallnacht, or night of the broken glass, in which synagogues were burned, 7,000 Jewish businesses were destroyed, at least 100 Jews were killed, 30,000 Jews were sent to concentration camps, and Jews were barred from public buildings and prohibited from certain businesses. Due to the relationship between Hitler and Mussolini and due to similar fascist policies, an Italo-German entente was anticipated (Walter Langsam, Otis Mitchell, The World Since 1919). At the same time, the members of the Little Entente signed the London Agreements with the Soviet Union and drew closer to Poland. Germany signed a ten-year nonaggression pact with Poland in January 1934. Then, as the extremely nationalist Nazi Party gained power in Germany, it advocated repudiating the Versailles Treaty, denounced communism, and referred to Russia as a suitable field for eastward expansion; hence, the Soviets broke off a solid relationship with Germany and signed a neutrality treaty with France in 1932, followed by a nonaggression pact in 1935. As a result of the Berlin-Rome-Tokyo Axis, the world was divided, pitting Germany, Italy, and Japan against the British Commonwealth, France, the Soviet Union, China, and the United States. During the mid-1930’s, Nazi rhetoric became more belligerent, but although war seemed on the horizon, European nations, specifically Great Britain and France, neglected the growing threat of the Axis powers. Great Britain, with its naval supremacy, and France, with its Maginot Line, felt confident that they could defend themselves, and Great Britain saw economic advantages in a strengthened Germany, for it had been a major buyer of British goods before World War I (Martin Gilbert, European Powers 1900-1945). Also, Neville Chamberlain, elected British prime minister in 1937, advocated a policy of appeasement, in which concessions would be made to Germany to avoid war. Hence, when Hitler annexed Austria in March 1938 and demanded the Sudetenland, the German-speaking areas of Czechoslovakia in September 1938, effectively throwing the Treaty of Versailles out the window, the Allies refused to respond militarily. In fact, Great Britain and France encouraged the Czechs to concede their disputed territory, when, on September 29, the Munich Conference between the British, French, Germans, and Italians agreed to allow German troops to occupy the Sudetenland. Though Hitler had promised that the Sudetenland would be his last demand, in October 1938, he occupied the Czech lands of Bohemia and Moravia and made the Slovaks declare their independence of the Czechs (Jackson Spielvogel, Western Civilization). Slovakia became a Nazi puppet state. On August 23, 1939, Hitler negotiated a surprise nonaggression pact with Stalin in order to prevent the nightmare scenario of fighting a war on two fronts. In this pact was a secret protocol that created German and Soviet spheres of influence in eastern Europe: Finland, the Baltic states (Estonia, Latvia, and Lithuania), and eastern Poland would go to the Soviet Union, while Germany would acquire western Poland. Then, on September 1, 1939, German forces invaded Poland, and a policy of appeasement proved to be a failure. Two days later, Britain and France declared war on Germany, and two weeks later, on September 17, the Soviet Union sent its troops into eastern Poland. World War II had begun. The years between World War I and World War II began with such promise but ended in such tragedy. Human nature is ripe with aggression, and as threats to national security cannot always be avoided, war cannot always be avoided. Appeasement, as history has told, is not an acceptable national policy, nor can nations turn a blind eye to aggression so as to create the pretense of peace. The period between the wars does not just teach us a lesson in the danger of violence ignored, however; it also exemplifies an ideal of peace attained with international cooperation. Today, we benefit from the United Nations, an evolved League of Nations. We benefit, as well, from the advancements in mathematics and science during that time period, as scientists from all nations came together to share achievement. As we advance to a more global society, it is important to recognize the mistakes made during the inter-war years, but, at the same time, we must retain those ideals that uphold peace. Brendon, Piers. The Dark Valley. New York: Alfred A. Knofp, 2000. Carr, E. H. The Twenty Years’ Crisis 1919-1939. London: The MacMillan Press LTD, 1984. Eubank, Keith. The Summit Conferences 1919-1960. Norman: University of Oklahoma Press, 1966. Langsam, Walter and Otis Mitchell. The World Since 1919. New York: The MacMillan Company, 1971. Leighton, Isabel. The Aspirin Age 1919-1941. New York: Simon and Schuster, 1949. Leinwand, Gerald. American Immigration. Chicago: Franklin Watts, 1995. Mayer, Arno J. Politics and Diplomacy of Peacemaking. New York: Alfred A. Knopf, 1967. Renouvin, Pierre. War and Aftermath 1914-1929. New York: Harper and Row, 1968. 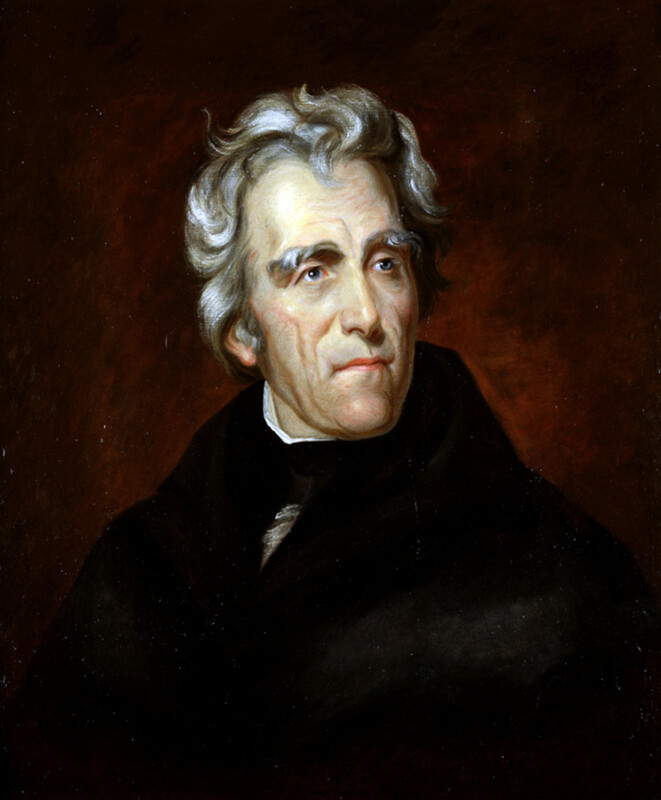 Spielvogel, Jackson J. Western Civilizaiton. United States:Wadsworth, 2000. The Encyclopedia of World History: Ancient, Medieval, and Modern, 6th ed., edited by Peter N. Stearns. Boston: Houghton Mifflin, 2001. www.bartleby.com/67/. 2003.